Evolution Technology Group (Pty) Ltd is a Value Adding Enterprise with level 1 AAA+ that consists of 60% woman empowerment. As one of the largest independent providers of Managed Print Services (MPS) solutions in the country, ETG has a proud history of providing effective managed solutions to some of the pre-eminent corporate and government organisations in South Africa. Our managed services include Managed Print Services (MPS). Managed Document Services (MDS) for electronic archiving imaging and automated workflow, and Managed Security Solutions for end point security solutions and POPI compliance. Our vision is the provision of end to end solutions in our core areas of competence on a national basis to both large corporate and mid-sized organisations. 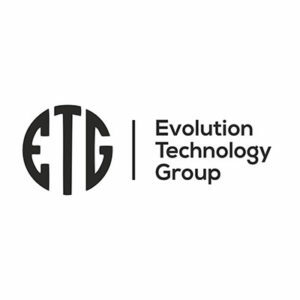 ETG brings you decades of experience in the development of unique managed print services. We offer superb value for money by combining best of breed service with world class hardware and software products. It is our aim to combine world-class print technology with managed print services and enterprise solution services that suit your needs. We endeavor to understand the uniqueness of your organization and business goals. Our Service philosophy extends beyond hardware, software and technical service. At ETG we want to help you find ways to improve your business such as cost control, information security, process improvement, financial solutions, business insights and technology trends. We listen to and build trusted partnerships with our customers to provide innovative and cost- effective solutions to solve complex, mission-critical challenges.